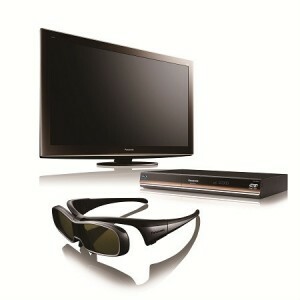 Later this month Panasonic will make available two new Viera series 3D plasma HDTVs. The 42-inch TC-P42G25 and 50-inch TC-P50GT25 expand Panasonic’s Viera GT25 line, which won Best in Show at CES 2010. Both models will feature Panasonic’s VIERA CAST, allowing access to Netflix, Amazon Video on Demand, and Twitter among other online services. Both models are also THX Certified, boast 600Hz sub-field drive, 24p Cinematic Playback, VIERA Image Viewer (for still images) and improved fast switching phosphors. The GT25 Series also includes 2D to 3D conversion which can convert a 2D image or video to 3D. The 42-inch Panasonic P42G25 will retail for $1699 and the 50-inch P50GT25 will retail for $2099. “The debut of our VIERA GT25 Series of Full HD 3D TVs further expands our portfolio of 3D offerings and makes it even easier for consumers to join the immersive world of Full HD 3D for the home,” said Henry Hauser, Panasonic Vice President, Merchandising, Display Group.